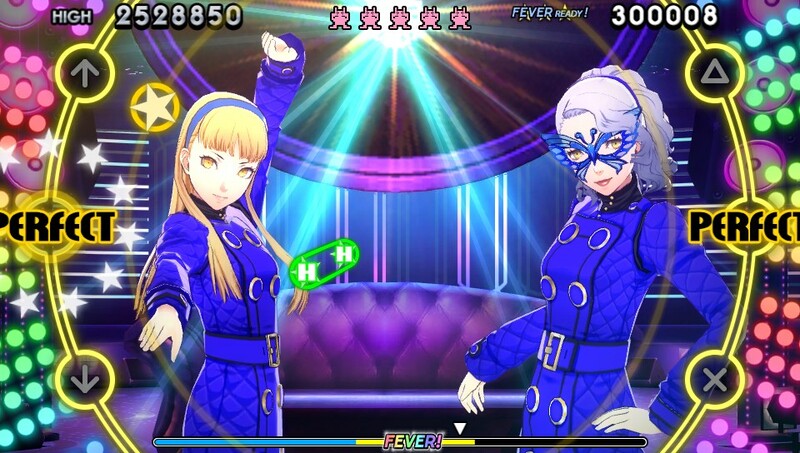 Persona 4: Dancing All Night gives Persona 4 fans a fun and lighthearted musical adventure to play with on their Vita while they wait for Persona 5. If you look at the entire portfolio of Playstation Vita games and then attach an average review score to each and every one of them, the conclusion could very well be that Persona 4 Golden is the best to ever grace the platform. As is the case when looking at many of the PS4’s best games right now, it was actually a remake of a game that came out on an older platform – Shin Megami Tensei: Persona 4 on the PS2. That came out in 2008, and the Persona 4 brand is still delivering us new gameplay experiences. While we wait for Persona 5 (due out next year), we have the Vita-exclusive Persona 4: Dancing All Night to play with first. Dancing All Night is a rhythm-based game that is, as is the norm with Persona titles, story-heavy. In this musical adventure, you follow Rise as she embarks on a quest towards pop superstardom. At the same time, people start to disappear under strange circumstances after watching a mysterious online video. The second half of that description makes it sound like a horror movie, but the plot (and gameplay) in Dancing All Night are actually pretty lighthearted. 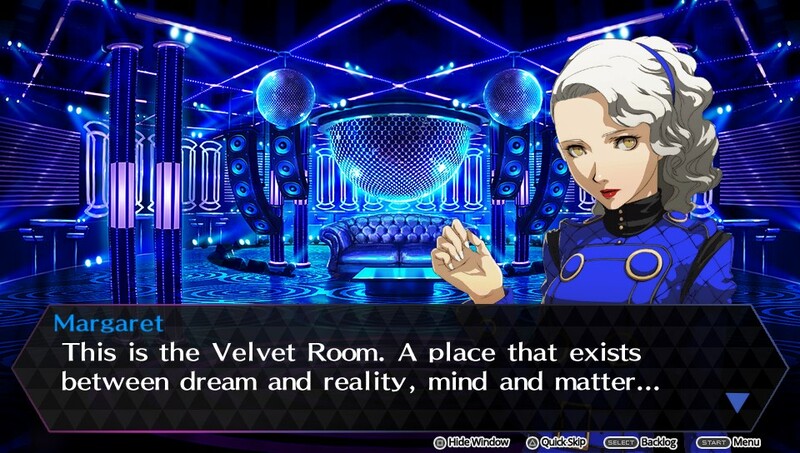 Everything connects nicely to the existing Persona 4 narratives – which has now been expanded upon with everything from fighting games to rhythm-based games. It’s the narrative that really makes this a Persona game and gives it character, but of course the music is front and center when it comes to gameplay. While most rhythm games have a vast selection of familiar and not-so-familiar chart songs from the past few decades, Dancing All Night’s soundtracks consists entirely of Persona songs and their remixes. This is not a bad thing, since the series is widely recognized for its excellent music, but it makes the experience less diverse and more of an acquired taste – if it’s not your thing, then there is nothing for you here. The actual music tracks play much like you’d expect if you’ve ever played a rhythm game on a handheld before. The directional pad and face buttons should be pressed in sync with the notes that fly around the screen, and in harder sections you’ll find yourself hitting multiple notes at once or holding down a note for a short period of time. It’s a familiar and proven concept, and developer Atlus stays fairly true to it. Certain score-boosting techniques involve grabbing rings or activating “Fever Time”, which is similar to Rock Band’s star power in that it sends the crowd into a frenzy. It’s a lot of fun if you’re into Persona 4’s narrative and enjoy its music as well, but the biggest innovation over other rhythm-based games is Dancing All Night’s narrative. After an initial playthrough (which runs a lengthy 7 to 9 hours), the narrative loses its appeal and you’re most likely to return just to be able to play some of your favorite tracks. Since a lot of songs occur multiple times (in the shape of remixes), there isn’t much to choose from, and track diversity isn’t as great as you’ll find in other games. Presentation is top-notch – the colorful and vibrant style that all Persona 4 games have shine through both in the graphics and the audio. So if you’re a fan of franchise, and fond of the music – then by all means pick this up to get you through the next few months while you wait for Persona 5. If you’re not into the Persona storyline then you’re likely also not too interested in its music, and this isn’t the game for you. Consider Dancing All Night as excellent fan service for those who are already hooked on the series, especially when they’re fond of the music.